Felipe is Brazilian and a little bit Italian, and has been living (mostly) in France since 2001. 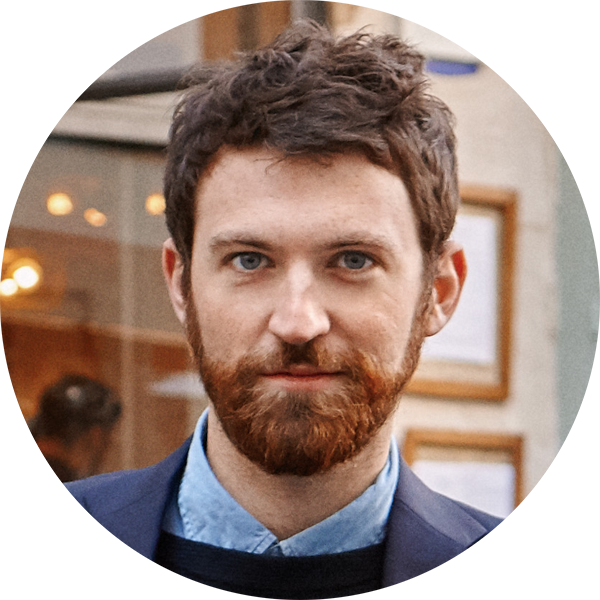 He studied Economics and Finance at Sciences Po Lille as well as International Marketing at the FFBV Lille, during which he tried out several communications and marketing roles in São Paulo, PR in New York, and then in advertising in Paris. Fascinated by food since his childhood, he started his at Le Fooding producing food events between the EUA, France and Italy but his passion for innovation quickly took over and so he decided to explore it first in an agency context at Air Paris, then in-house at L’Oréal Paris International as Digital Communications Manager. He then decided to do something different for a while. He went to cookery school to get the French CAP cuisine qualification, relaunched his food blog The Blind Taste, worked in the kitchen at Jones (formerly-Bones) with Chef James Edward Henry, launched the Festival Les Tablées de Vic as a personal venture, featured on the TV show Comment ça va bien ! on the French TV station France 2 as a food commentator, and became a product sourcer for the new range “Epicerie Sucrée / Salée” at Hédiard. Once he was out of the kitchen, his oven gloves safely stowed away, Felipe realised he was increasingly concerned by the place that technology occupies in our lives and societies. He joined Haigo with the goal of making digital transformation more ethical and more human. His day to day work is currently as Product Owner with AXA, accompanying their digital transformation journey.